The Kite Runner by Khaled Hosseini was an amazing book that kept me interested until I turned over the very last page. This page turning book was an interesting story with heart aching moments that can bring even the toughest of people to tears. The story moves throughout a set of extremely difficult times for Afghanistan, which are the fall of the Afghanistan monarchy, to the invasion of the Soviet's, to the rush of refugees moving to Pakistan and the United States, and lastly into the rise of the Taliban.The main character is a Pashtun boy named Amir who grew up in the city of Kabul, Afghanistan. The story line is of his relationship with his father and of his friendship with Hassan a Hazara boy who is the son of Amir’s father’s servant. 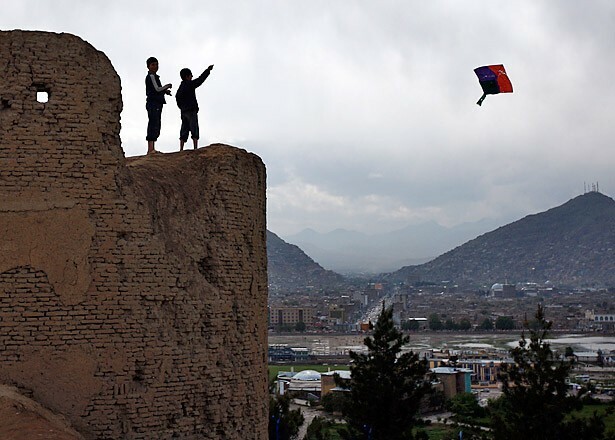 The book moves throughout their lives and into the difficult time's for all of Afghanistan. With the twist and the turns of this book I thought it was an incredible story and would definitely recommend it to anyone who is above the age of fourteen. The book has some gruesome parts but they are realistic and moving. Lastly if you haven't already read this book I strongly advise that you pick it up and read it. "I become what I am today at the age of twelve, on a frigid overcast day in the winter of 1975. I remember the precise moment,crouching behind a crumbling mud wall, peeking into the alley near the frozen creek. That was a long time ago, but it's wrong what they say about the past, I've learned, about how you can bury it. Because the past claws its way out. Looking back now, i realize i have been peeking into that deserted alley for the last twenty-six years (p1)."